The iPad 3 Winner from The Atlanta Gift Mart! 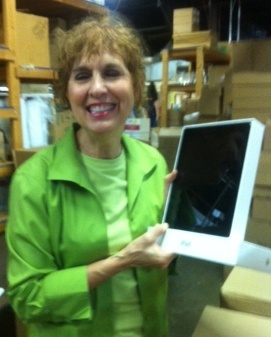 Congratulations to Pat Brown of The Ginger Bread House in Danville, VA for winning an iPad 3 simply by visiting and registering in the Creative Co-Op Atlanta showroom this summer! 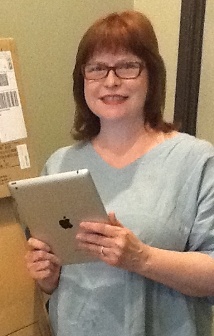 Pat with her iPad the day of its arrival!